Work is progressing at pace on Dublin’s new Hard Rock Hotel, which is located on a confined site on Lord Edward Street, in Dublin’s City Centre. 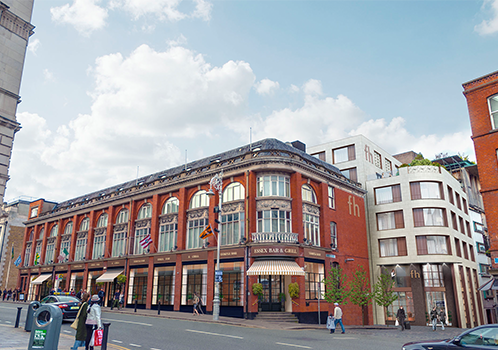 The project involves the refurbishment of the existing 3 story over basement red brick Exchange Building. This building dates to 1912 and was previously the location for the Parliament Hotel. The development also consists of the Fashion House Building which is a new 7 storey extension to the rear of the parliament building and includes a glass link bridge will connect the two properties. The new 4 star Hotel on completion, will house 120 new bedrooms, bars and restaurants as well as interior design showcasing iconic music memorabilia.